Technical changes: These are the internal modifications in scope of the work of the project. Market changes: These are changes that are inevitable due to external market conditions such as competitors’ product or service enhancements or regulatory changes. Contractual changes: Changes that are made on the contract with the stakeholder or supplier. These changes include but not limited to the terms & conditions, scope of work, requirements, schedule, costs etc. The most important function of a project manager is to prevent uncontrollable changes. Uncontrolled and unexpected changes in user /stakeholder expectations and requirements as a project progress always negatively impact a project. This is known as scope creep. Many times new features are added to the project with a wrong assumption that one small feature will add nothing to cost or schedule. This unplanned addition is called feature creep. A change in the one of the triple constraints of a project has an impact on the other two. The key is to find balance between the need to manage the scope of the project against the agreed requirements, cost & schedule. Changes may negatively or positively impact a project. When a change request is made, you as a project manager need to analyze the same in order to evaluate whether it is within or outside the scope of the original project requirements as well as how it is going to impact the three constraints of your project namely scope, schedule and cost. Impact analysis is the most important step to effective change management procedure. Your impact analysis should not only reveal the impacts of changes on the above three project constrains but also it should provide you the essential information related to the effects of changes on people, processes, quality of the project and on the operation of your company. By implementing proper impact analysis procedure you should also be able to evaluate the overall project risks, how the change is going to alter the existing risks, whether or not the project is going to face new risks and the cost associated in managing those risks. Every organization has its own way of doing things and in most cases structured processes are available. You need these organization process assets that may or may not have formal procedure for impact analysis. However, the following guidelines will always help you understand essentials of impact analysis procedure and how you can diligently implement such procedure. Step one: Do you have the money? Every work involves some cost and the impact analysis of change requests also requires some budget especially when it is a large change request. Do you have the contingency budget to cover the cost or do you need to request the project sponsor / customer to pay for the added cost? Discuss this with the project sponsor and always come up with adequate numbers so that you can properly make formal presentation to the project sponsor and request the extra fund that you need for the impact analysis. Step two: Determine the reason for the change. Why the change request is made in the first place? Can you avoid it / defer it or is it inevitable? Determine the business need for this change and how the change is going to benefit the project, the process, the work product, the quality, the stakeholders and the organization. Also review the Change Log to determine if the amount of change is excessive on the project. If change is certain, determine what is the priority of this change in comparison to other changes, such as current requests and requests being implemented? Step three: Analyze the impact on triple constraints. Scope: Determine the impact on the overall scope of the project, Work Breakdown structure (WBS), Product Breakdown Structure (PBS) and Resource Breakdown structure (RBS). You need to find out information in details by identifying the product features that would need to be added, changed, or deleted and any sections of the PBS, components of the WBS that would also need to be added, changed, or deleted and also the resources that would be required to implement changes and how it is going to alter the RBS. Also you need to identify any changes that need to be made to the agreement with the customer or any vendor or subcontractor. Cost: Identify any changes that need to be made to the cost management plan and the overall financial plan. Who is going to pay for the added cost? Find out whether the change will be paid for by an external sponsor. Similarly like scope, you also need to identify any changes that need to be made to the agreement with the customer or any vendor or subcontractor. If subcontractors are involved, determine whether the change is going to impact the subcontracting cost. Refer to your organizational process assets and guidelines to ask for the additional cost or price for the change from the procurement department. Your impact analysis report also should highlight the financial benefit to the project and the financial benefit to your organization. You should also document other benefits such as improved schedule, better performance, lower risk, future opportunities, stakeholder satisfaction, enhancements to the organization’s intellectual capital, and technological advancement. Schedule: Your project needs to be completed within time otherwise you are invariably going to incur cost overruns because the project schedule is linked to scope and cost. Estimate the time required to define and plan the proposed solution and the time required to implement the proposed changes. Evaluate the changes to the milestones and to the critical path. Also identify the changes that would need to be made to the Work Breakdown Structure (WBS), the project management schedules and the milestone lists. Determine changes to the contractual schedule with the subcontractors. Also determine the impact of the change outside the delivery organization by identifying any changes that would need to be made to the Agreement with the sponsor and with any subcontractors. Your various project activities are interwoven by complex successor relationships. Identify other tasks that are dependent on this change being approved. Also determine the predecessor relationship and prioritize the tasks that must be completed before this change is implemented. Also it is equally important to determine the resource dependencies and how you are going to use resources for this change. And finally, you also need to identify other dependencies such as market conditions, government regulations etc. Analyze the risks that are associated with this change. Identify all the risks qualitatively and quantitatively the project is facing or will face in the future due to this change. Also identify threats that are associated with this change. Threats would include changes that have possible negative impacts or risk. Even a small change might include a high amount of risk. Identify and list all the changes that would need to be made to the project procedures description or to the project decision structure. Identify changes that would need to be made to the communications management plan, the project quality plan, the risk management plan, the technical environment plan and overall the project management plan. Also determine the costs to update the project management system. Properly document all the results of your impact analysis. Prepare a detail report for the change control board to approve changes. Follow your organizational process assets and procedural guidelines to document reports of the impact analysis. When the change request is approved by the change control board, the change order is created. Identify the project documentation, including the project management system documents, which must be changed or updated to reflect the approved change. Update the financial management plan when a change has a financial impact. In order to show the changes to work items or completion dates, update the project management schedule, operational schedule, and the work breakdown structure. Most of the change request is associated with changes to the scope and in such scenario update the project definition, deliverable definition, or other documents that control the project scope. Also update the technical specifications, the test plans, the quality management plans. A great deal of a project manger’s time is spent on communication. With every approved change request, you need to prepare new reports or arrange new meetings and that is why it is imperative that you also update the communications management plan. Most important document update is the updates on the risk register. Document all the qualitative and quantitative risks and also include updated risk definitions due to this change. 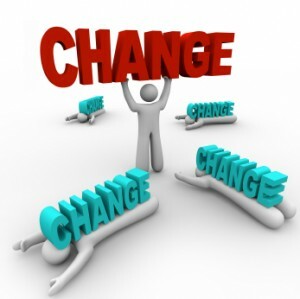 If the change control board approves a change request then you need to create change management work product that will consist of change request templates, instructions for the changes or the change order and a log to record changes. Implementation of change management also equally important and things may go wrong if a project manager fails to properly implement change management. That is why it is important that the project manager work cohesively with the team as well as with the change control board. Also another important factor to remember is that the impact analysis for multiple change requests may not reveal hidden costs. In such scenario, it is always recommended to rely on expert judgment. Sure, as long as you give me the credit.